In Utah there are currently two explorations into producing oil from tar sands that stand out and we should keep some eyes on: Petroteq, near Vernal on the Asphalt Ridge site and U.S. Oil Sands (USO Utah) operating at the P.R. Springs site. Operating an old tar sands mine outside of Vernal, at Asphalt Ridge, that was previously used to mine road material. They’ve built a processing plant on site with what they say will have a 1,000 barrels per day production capacity, and are actively encouraging investment. March 28, 2019: The company announced that it had been producing 500 barrels of oil per day for two weeks. They say they will scale up production to full capacity by the end of May. February 8, 2019: Petroteq aquires 50% share in federal leases. “Biggest Breakthrough in Energy: Investor Warning” March, 2018: Here is a report debunking some of the propaganda that Petroteq has put out in the last few months. 2015-2018: The company constructed and operated a 250 bpd pilot plant on Temple Mountain. The company acquired the leases to oil sands to provide feedstock to the pilot plant. The pilot plant were relocated, upgraded and expanded to a 1,000 bpd facility on Asphalt Ridge right off of Highway 45 near the Green River. 2015: Petroteq was fined for trespassing on their lease hold after not paying the lease payments. Pre 2017: Built a $80+ Million experimental processing facility and began strip mining. Went into bankruptcy proceedings right after completing the plant (though it is unclear if the plant was ever operational). 2017-2018: USOS declared bankruptcy and put the processing plant at PR Springs Utah up for sale but got no offers. Now USOS is called USO Utah and the major share holder, AMCO, remains the same. US Oil Sands owed SITLA $265,000 in outstanding leasing and minimum royalty payments that were never paid. USO Utah has reduced their SITLA lease holdings from 32,005 acres down to 5,930 acres. Since 2008, USOS has made regular claims that oil production from tar sands was just around the corner. As it turns out, USOS never produced oil from tar commercially. Now USO Utah continues to keep up the charade. Posted on April 2, 2019, in Updates and tagged Petroteq, tar sands, USO Utah, USOS. Bookmark the permalink. Leave a comment. The annual White Mesa Ute Community Protest and Spiritual Walk is happening May 18. The only remaining uranium mill in the country sits right next to the White Mesa Ute community, threatening their water source. Come learn about this important issue and support the community at this annual gathering. 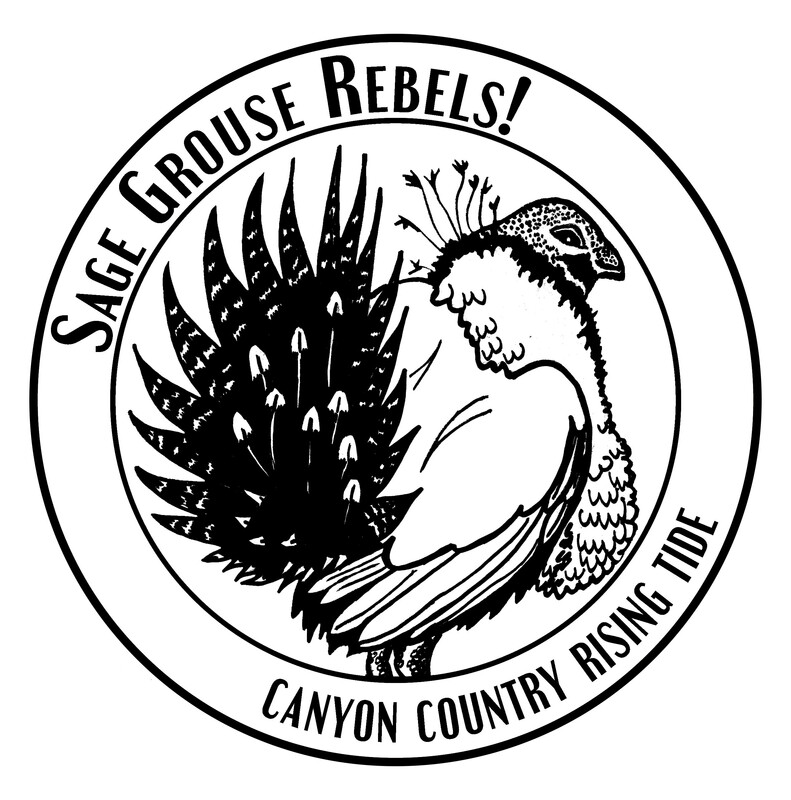 2019 Round River Rendezvous || Colorado Plateau || July 3rd-10th || www.2019rrr.org - Save the Date, Smash the State! - Join us July 3rd-10th as we support a local campaign. Featuring rad workshops and presentations--direct action, climbing, blockades, ecology walks, campaign strategy, local land and water struggles, and more! Email rrr2019@riseup.net for more information! - 📍So-called “Utah” occupied lands of the Shoshone, Goshute, Southern Paiute, Ute, and Diné peoples.